One morning in early June this year, a Swedish sheep farmer discovered that 21 of his sheep had been killed. The aggressor had taken only a small bite of each sheep before killing the next defenseless prey. Expertise identified the offender to be a wolf. Wolves in Sweden are frequently debated. Some suggest that wolves should be uncompromisingly hunted and ‘eliminated’. This naturally upsets those advocating the necessity of biological diversity. In turn, these groups claim that the hazard should be ‘engineered out’ by improving fencing. Both solutions (hunting and fencing) are examples of protective safety. They are about increasing the distance, or buffer, between the hazard and what is worthy to protect. But increasing separation/protection this way often makes systems more rigid. Killing wolves reduces biodiversity and may take away capacity to keep deer and other wildlife in balance. Likewise, putting up a wolf proof fence drastically reduces the mobility for anyone who wishes to access or cross the field (these fences are higher and electrified). In contrast to protective safety, adaptive safety is not about hazard elimination or otherwise tighter control. In contrast to protective safety, adaptive safety (or safety II) is about boosting the capacity of the system to actively deal with the hazard successfully. Applying adaptive safety thinking to the sheep-wolf situation prompts the rather unusual question: How can sheep’s capacity to observe, alert, and take action be improved? Somewhat unexpectedly, the solution could be a ‘Guard Llama’. Llamas are territorial, and suspicious of dogs. Llamas are taller and can spot an intruder earlier. And sheep easily accept a llama as the herd’s leader. Once an invader has been identified the llama warns the herd, collects them in a group, and positions itself between the herd and the intruder. 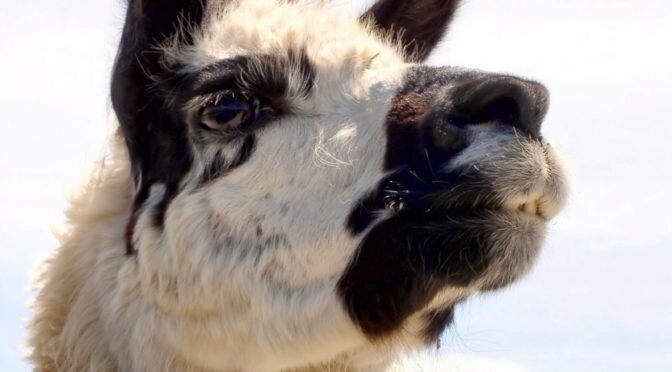 Weighing roughly 150kg, being taller, capable of screaming loudly, skilled at biting, kicking and spitting at unwanted trespassers, makes the cost-benefit of attacking a herd of sheep guarded by a llama less attractive. As often seems to be the case when changing resources to increase adaptive capacity or making systems more resilient, there is a trade-off with predictability. Introduced species may escape with unintended devastating effects. It is difficult to know beforehand how it’s going to play out. Likewise, it may be scary for leaders in command-and-control organisations to give more discretion to workers to adapt locally. A step by step approach seems feasible. 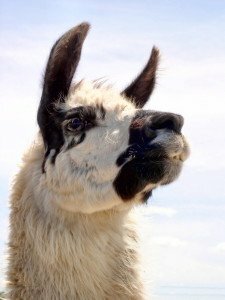 Guard llamas are already in use in places like the US and Switzerland, and have proven highly effective against coyotes, bobcats, lynx, stray dogs, and other predators potentially interested in sheep. There is still little evidence as to how effective Llamas are against the Scandinavian wolves, but tests are now underway on several farms. I’ve heard of guard lamas before. The contexts you cite where they are currently successful are for individual predator types. Scandinavian wolves, as with any wolves, are ordinarily pack anaimals and they work as a cooperative to isolate and kill their prey. A single guard lama may then just be a bigger meal for the pack. It’s also unusual for a pack of wolves to kill as the article describes in the opening paragraph. On this basis it seems the ‘root cause’ is not yet clearly understood and so establishing a ‘suitable’ control option, such as a guard lama, may be a little presumptive, in the same way that use of PPE is often presumptive when the specific hazard is unclear and/or the identified option may not actually result in a prevention. The intent of the post was to illustrate two different kind of safety thinking. Whether this specific solution will do the trick for the sheep, I think we will have to leave up to the wolves and llamas (and time). If, as in the Hearts and Minds material of Shell, the sheep are the ones who follow the rules, are defensive in their way of working, and the wolves are the ones who try out new thing and are “innovative”, what should be put in between? And if there is a solution to put something in between, will it work sufficiently to control the sheep as well as the wolves? I was aware that you were illustrating two types of thinking. However I believe neither way of thinking to control a recognised risk is appropriate until the nature (root cause) of the risk is properly understood. Also, the concept of ‘hunting the wolf’ to eliminate the threat is useful for illustrating a concept I use where I work – I call it the ‘conflicting risk’ issue. If we hunt the wolf to eliminate it we reduce the risk to the sheep. But the conflicting risk is the negative effect on the overall environment (biodiversity). In it’s extreme, the ‘conflicting risk’ issue is seen when an employer requires an employee to perform an action that is foreseeable to contain significant risk. What I try to get all thinkers to to do is stop and consider ‘what if I do?, what if I don’t?” Rather than just looking at one side of the conflict. This is what is illustrated by your explanation of the effect on killing the wolf – risk to the sheep vs risk to biodiversity. But as I tried to show, the root cause is unclear so maybe shooting the wolf will adversely affect the biodiversity but still won’t protect the sheep, if eg: the sheep killer is not a wolf but a rogue dog. On the other hand, if we introduce a guard lama and the killer is is a wolf pack, then the lama may be exposed to same/similar risk as the sheep.